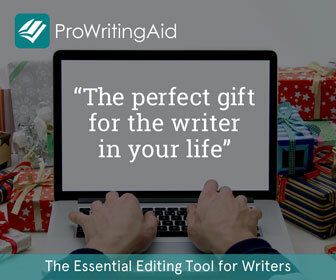 ProWritingAid analyzes your writing and presents its findings in 25 different reports. Each writer has their own strengths and weaknesses and so different PWA reports will appeal to different users. Remember, all the software can do is highlight potential pitfalls in your writing. It's up to you, the writer, to decide which suggestions work within your specific context, and which ones should be ignored. The Writing Style Check is one of the most popular and comprehensive reports that ProWritingAid offers. It highlights several areas of writing that should be revised to improve readability, including passive voice, overuse of adverbs, repeated sentence starts, hidden verbs and much more. Learn more about all the elements included in The Writing Style Report here. But, in addition to these standard grammar checks, our team of copyeditors have been inputting thousands of specific checks that they have come across in their years of editing. For example, they noticed that many writers write “adverse” when they actually mean “averse”? When this comes up, the software will offer a short explanation about how the two words are different so that you can make sure you select the correct one. Find out more about these specific checks and how they are created. Learn more about overused words and see some examples. Writers often use clichés when they are working on their ﬁrst draft because thinking up original wording takes time and can interrupt creative ﬂow. That’s ﬁne. But, when you go back to edit, this report will pick out instances of unoriginal phrasing so that you can replace them with fresh ideas. Redundant wording creeps into the texts of even the most experienced writers. It adds quantity to your writing, but not quality. Every word in your writing should be there for a reason. This report helps you eliminate the clutter. Read more about clichés and redundancies here. The second sentence is much easier to read. Unnecessary information has been discarded, and the wording is more concise. The point of the sentence comes across clearly. Read more about glue words and sticky sentences here. Writers often mistakenly use the same word several times in the span of one paragraph because it’s foremost in their mind. But those repeats can set off an echo in the reader’s mind – that subconscious feeling of “Didn’t he just say that?” It can be irritating to read and, worse, it can detract from what you are trying to say. But it’s difficult for writers to spot repetition in their own work. When they are editing, they go over the same text several times and become impervious to that echo feeling. And when you replace a word when making amendments, it’s easy to forget that the same word was in the sentence before or after. This report highlights repeated words and phrases in your document so you can use a more diverse vocabulary. Read more about finding repetition in your text. ProWritingAid will create a bar graph of your sentence lengths so that you can pick out areas where you should add more variety. It will also give you an Average Sentence Length Score, which will highlight whether you are using too many long sentences, which may result in a monotonous text, or too many short sentences, which may result in a choppy text. Read more about how to improve your sentence length variety. When writers are in creative mode, they often rely on pronouns to keep the narrative moving: “He did this”, “She did that”, “They ran there”, “I found out.” That’s fine. It’s more important to keep writing momentum up than it is to get every sentence just right. ProWritingAid will scan your document and calculate a pronoun percentage. Ideally it should fall somewhere between 4% and 15%. Any more than this and writing can feel dull. This is especially so with initial pronouns – those at the start of the sentence. The initial pronoun percentage should be under 30%. Run the report and replace your pronoun-heavy passages with more dynamic wording. Read more about why you should keep an eye out for too many pronouns. Statistics show that published writing has a high level of transition use. Transition words are the road signs in writing. And great transitions help your reader follow your train of thought without becoming bogged down trying to discern your meaning. Words and phrases like “similarly”, “nevertheless”, “in order to”, “likewise,” or “as a result” show the relationships between your ideas and can help illustrate agreement, contrast or show cause and effect. The Transition Report will give you a “transitions score”, which is based on the percentage of sentences that contain a transition. We recommend that you aim for a score of 25% or higher, which means that you use at least one transition word or phrase every four sentences. Read more about transitions and their importance. Consistency is so important in writing. It makes it feel professional and polished. ProWritingAid doesn’t care if you choose to write in American or UK English, as long as you choose one and stick to it. Likewise, it’s up to you whether you capitalise a word like “Yoga” but the report will highlight if you have done it in one place and not in another. The Consistency Check highlights inconsistency of spelling, hyphenation, capitalisation, and punctuation. Read more about keeping consistency in your writing. Pacing refers to the speed at which a story is told and how quickly the reader is moved through events. Good writing contains faster-paced sections, such as dialogue and character action, as well as slower-paced sections, such as introspection and backstory. Differently paced sections should complement each other, allowing the reader to move with you through the narrative. Dialogue tags are the words that refer dialogue to a speciﬁc character. The two most common examples are “said” and “asked”. They are essential in writing, particularly in scenes that include several characters, because they help the reader follow the conversation. Ideally, your dialogue tags should be invisible within your writing, just signposts that point out who is speaking. The character’s actions or the dialogue itself should be carrying the emotion. Where possible, try to omit dialogue tags altogether. Instead, use description and action to point out your speaker and build your scene. The Dialogue Tags Check will highlight all your dialogue tags so that you can ﬁnd a better way to demonstrate emotion. Learn more about replacing dialogue tags here. Run your writing through the Sensory Report and make sure that you have all five senses covered. Read more about the importance of writing with all five senses here. There are two types of words that muddy the waters for clarity and concise writing: vague and abstract words. Vague words lack specific information. If you say you will be “slightly” late it’s less clear than if you say you will be 20 minutes late. Your understanding of “slightly late” may be quite different to mine. An abstract noun denotes something intangible, such as a quality or state, whereas a concrete noun denotes the person or thing that may possess that quality or be in that state. For example: man is concrete and humanity is abstract, brain is concrete and thought is abstract. Abstract nouns are sometimes perfect, but they should not be used to excess as they lack specificity. Run the Vague and Abstract Words Check to find those words that should be replaced with something more specific or concrete. Read more about the dangers of vague and abstract language here. Learn more about how the Thesaurus Check can help you expand your vocabulary and enrich your writing. When it comes to writing, less is more. Make every word count. If it's not essential, cut it. Too often when writers are trying to sound authoritative, they choose the wordy ways of saying something simple. Why write “has the ability to” when you can write “can”? You’re just using more words to say the same thing, which actually makes your writing much less clear. Similarly, following some basic writing rules like “Don’t end a sentence with a preposition” can help make your writing stronger. Read more about how The Diction Report will highlight those areas of your writing that are overly cumbersome to read so that you can simplify. Alliteration is the repetition of a beginning consonant sound. One of the most famous examples is "Peter Piper picked a peck of pickled peppers". Alliteration creates an enjoyable rhythm when reading and so is often used in advertising, or to attract attention and comment. Alliteration is also widely used in poetry. The Alliteration Report will highlight all instances of alliteration in your document. There are many words in the English language that sound alike but have different spellings. Choosing the wrong spelling can change your sentence completely. The sentence “He lost his patients” means something quite different from “He lost his patience”. The Homonyms Check will highlight all the words with homonyms. Hover your curser over the word and the alternatives will be displayed as a tooltip. An acronym is a word or name formed as an abbreviation from the initial components in a phrase or a word, e.g. NATO (North Atlantic Treaty Organization), ESPN (Entertainment and Sports Programming Network), or LOL (Laugh Out Loud). The Acronym Report highlights all of the acronyms in your text, and creates a list of all the acronyms you have used. Misspelled or inconsistent acronyms are not usually picked up by normal spell-checkers so the list allows you to easily scan for errors. It can also help you create a glossary of acronyms for your text. ProWritingAid defines complex words as those with three or more syllables. It is not wrong to use complex words, but paragraphs that contain too many will be less clear. If you can replace a complex word with a simpler one – e.g. enquired with asked or proximate with near – then do it. Run the Complex Words Check and then scan your document for paragraphs that contain a higher than usual occurrence of multi-syllable words. See if you can replace some of them with clearer vocabulary. This report was designed to help you develop your use of stylistic writing techniques such as alliteration, epistrophe, and hendiadys. The items in this report are not suggestions, just aids to help you along the way. The Combo Report is a customizable feature that allows users to choose their favorite reports and run them simultaneously. This is a great feature for content writers, bloggers or students who edit a lot of shorter documents rather than one long book. You know your own bad writing habits better than anyone, so choose the reports that will have the biggest impact for YOU. If you are a premium user, you can create your own House Style Check to look for specific issues relating to your organization. For example, if you want to make sure that the word “Director” is always capitalized in your reports, you can create your own rule in the software that will flag it anytime it is in lower case. To take another example, imagine a fashion design company who always wanted their September collection to be referred to as the “autumn” collection rather than the “fall” collection. They could create a rule where ProWritingAid highlighted any instance of the word “fall” and offered a suggestion that it be changed to “autumn”. Create your own rules that help members of your organization adhere to your house style guidelines. Our plagiarism checker is designed to help you detect unoriginal content in your writing. Once you have detected unoriginal content you will be able to add proper citations to your document. Plagiarism is a major concern for many people, especially those writing academic works. The plagiarism checks performed by ProWritingAid will check your work against over a billion web-pages and articles to make sure that you have correctly cited any unoriginal content. It is easy for unoriginal content to slip into your work, and the consequences can be disastrous.